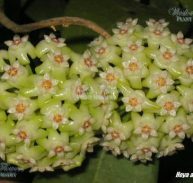 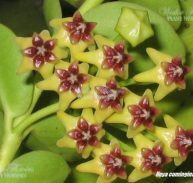 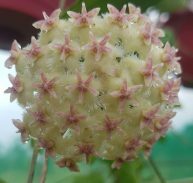 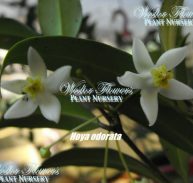 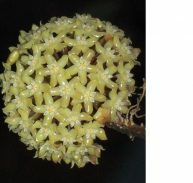 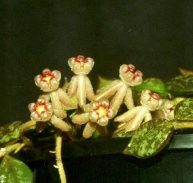 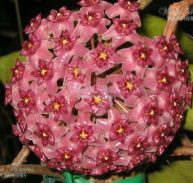 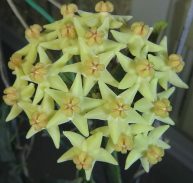 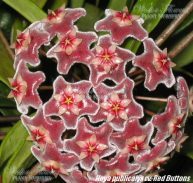 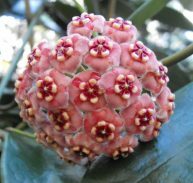 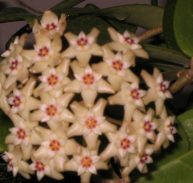 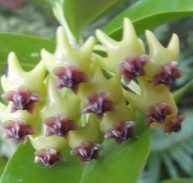 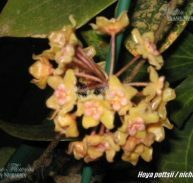 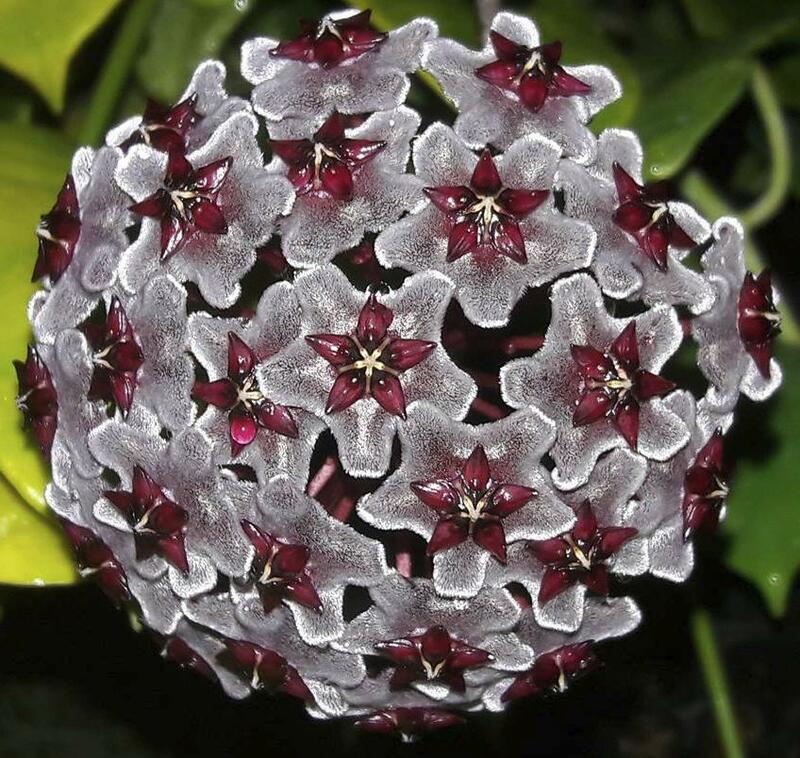 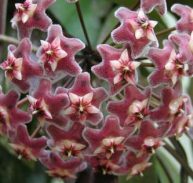 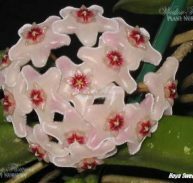 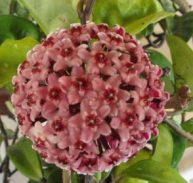 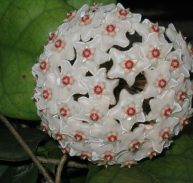 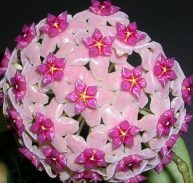 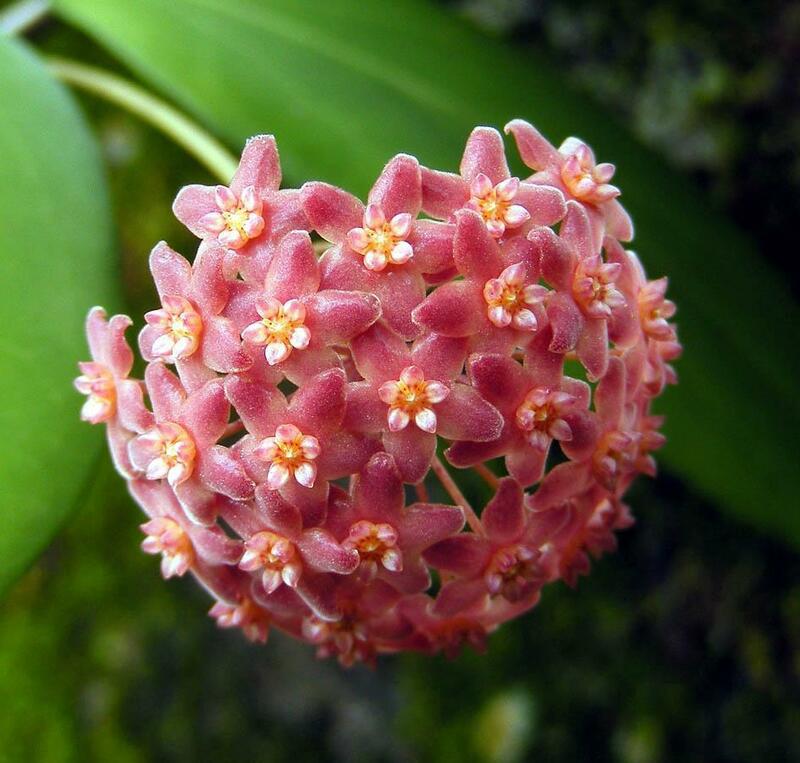 This is a really an unique Hoya as it is hard to recognize as a Hoya with it’s grassy appearance. 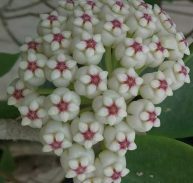 The leaves are very fine and whispy with a succulent look. 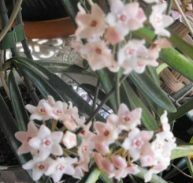 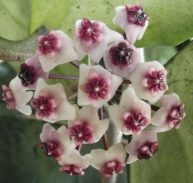 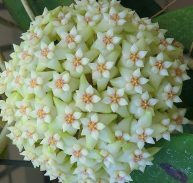 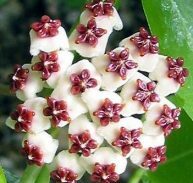 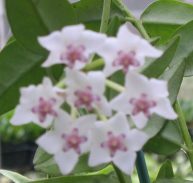 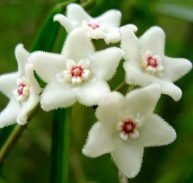 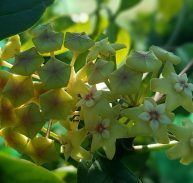 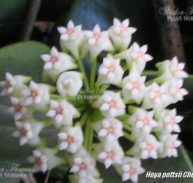 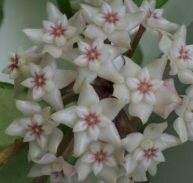 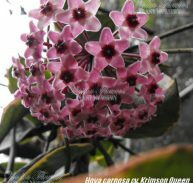 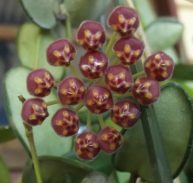 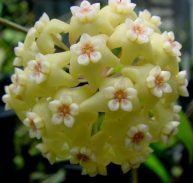 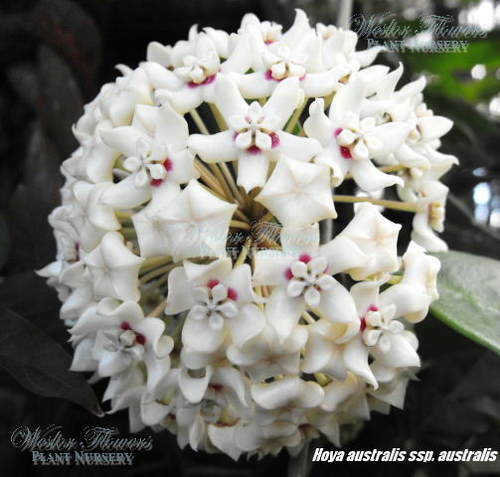 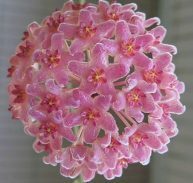 When it flowers you can clearly see it belongs in the Hoya family. 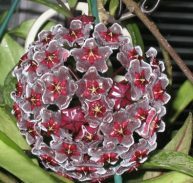 The flowers are white with burgundy centers and hang. 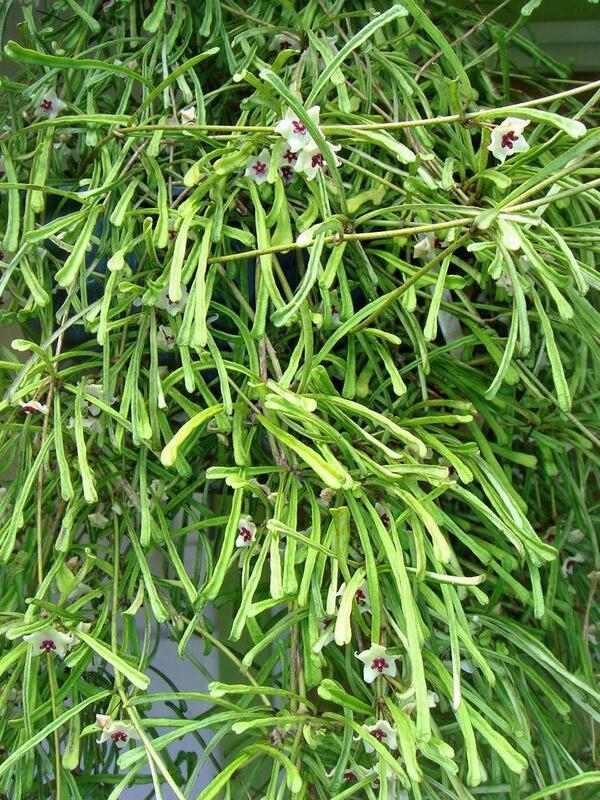 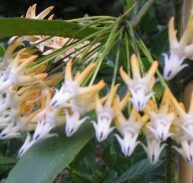 This plants growth habit is ideal for a hanging container as it hangs down with a spider effect. 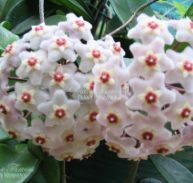 This Hoya doesn’t climb.